Working at the car wash, yeah! History Lesson of the Day: The song Car Wash, performed by Rose Royce in 1976, was written by Norman Whitfield, who also wrote other classics like, "I Heard It Through The Grape Vine," "Papa Was a Rollin' Stone," and "War." Just to name a few. The guy was a hit making machine. 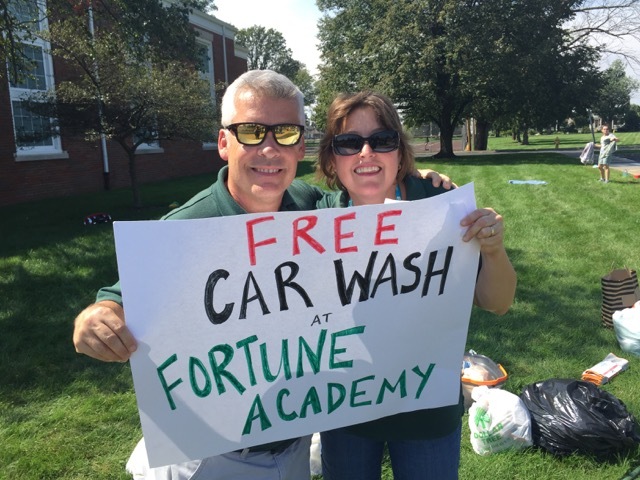 The Middle School will be having fun washing cars Friday, September 8th, from 1:30 pm to 3:30 pm. Tell your friends! Proceeds will go to offset the cost of their overnight, educational adventure at Camp Tecumseh in October. If you or your student participates, we are offering a discount for the trip. Cool! Sign up to volunteer using the link below. We are working hard to promote this fundraiser and hope to have record participation from the community. We will need all hands on deck to make sure the car wash runs efficiently and effectively. We hope you are able to join us and contribute to the needed supplies. Rain date will be September 15th. Older PostWhich Door Will You Choose?